In Germany, Bechtle first went online with a shop, not Amazon. In the already heavier B2B business, Bechtle CEO Jürgen Schäfer laid the foundation for the Swabians' billions in business today. 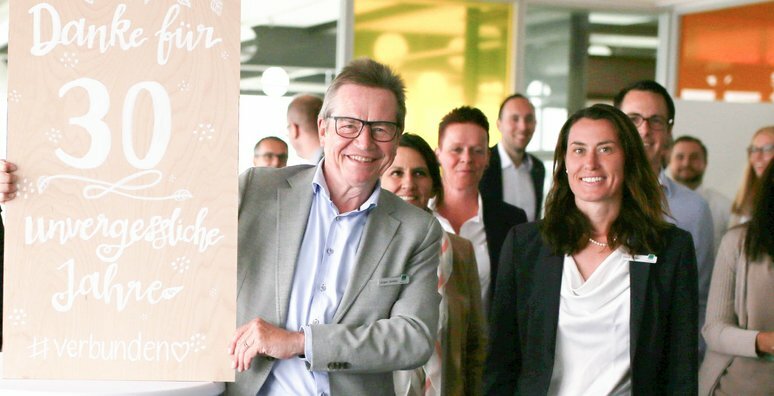 Three milestones in the 30 years that Jürgen Schäfer has worked for Bechtle are likely to have left an unforgettable mark on his memory: The first e-mail he sent on 2 June 1989 to the then IBM advisor at Bechtle - one year after joining the company. The first order in the winter of 1997, which was received via the online ordering system that he helped to develop. And finally December 2017, when e-commerce board member Schäfer and his team broke the billion-euro turnover barrier in B2B online trading for the first time in 14 European countries. There, it wasn't the - Swabian Bechtle-bescheiden - bubbly bottles that tingly, but the Champagne corks in Neckarsulm exploded as an exception. When Amazon launched its website in Germany, Early Adopter Schäfer with Bechtle was already on the net before today's e-commerce giant. »There is such an Internet«, Bechtle co-founder Gerhard Schick had brought the idea from his trip to the USA to the Ländle in 1995. The initially almost empty online pipeline was frustrating for him. But Schäfer was not discouraged. Because: persistence, as Schäfer had learned from Bechtle CEO Schick and his partner and marathon runner Ralf Klenk, pays off. And by the way: the 60-year-old manager doesn't lose his humour and good mood that quickly. »Always totally nice and above all in a good mood - that's the coolest thing about him,« says Bechtle employee Katharina Liebe. And this last name is really a fitting omen for e-commerce pioneer Jürgen Schäfer.